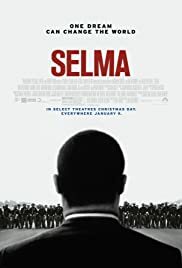 This movie is a part of the CALS Movies of a Movement: the Civil Rights & Social Change Collection. Direced by Ava DuVernay, it stars David Oyelowo as Dr. King and Carmen Ejogo as Coretta Scott King. Others in the cast include Tom Wilkinson, Giovanni Ribisi, Andre Holland, Ruben Santiago-Hudson, Colman Domingo, Common, Lorraine Toussaint, Dylan Baker, Niecy Nash, Tim Roth, and Stephen Root. John Lavelle plays former Arkansas Gazette reporter Roy Reed who covered Selma for The New York Times. The Arkansas State Archives and Black History Commission of Arkansas are joining with Bethel AME Church and the 12th District AME to sponsor an event in honor of Dr. Martin Luther King, Jr. It will be today at 3pm at the Bethel AME Church. At the program, speakers will remember his legacy through worship as well as with the keynote address by former Secretary of Transportation Rodney E. Slater. A Marianna native, he served on the staff of Governor Bill Clinton before having leadership roles during President Clinton’s administration. Slater is an attorney at Washington, D.C., law firm Squire Patton Boggs. In 1993 Slater became the first In 1997, he was appointed to be the Secretary of Transportation. For more information, call 501-374-9948.